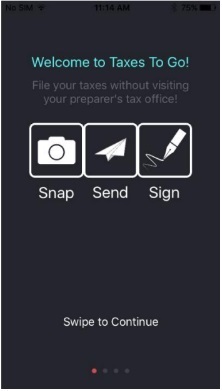 The Taxes to Go Mobile App allows taxpayers to snap pictures and submit their tax documents to you from anywhere, without ever stepping foot your office. 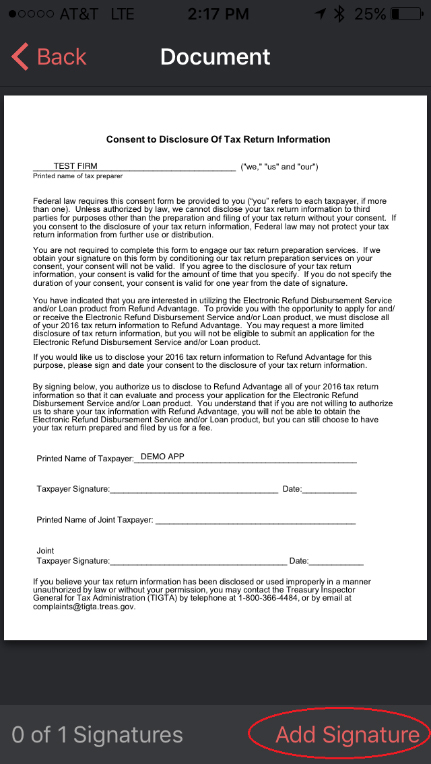 Using the information sent through the App, you’ll prepare the return and send it back to the taxpayer to digitally sign. They sign, send it back through the App and the return is ready to be e-Filed. It’s fast, easy and secure! 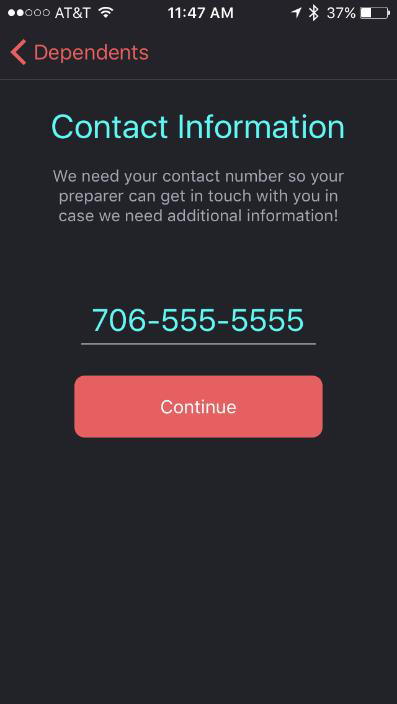 The App includes a chat feature for communication between the you and your clients and is fully integrated into your TaxSlayer Pro software. 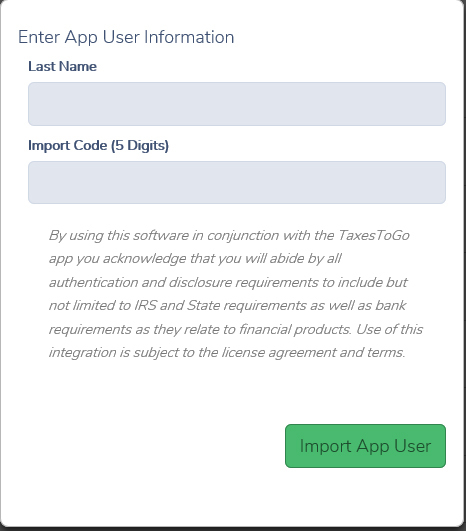 Taxes to Go is available for Android and iOS mobile devices. 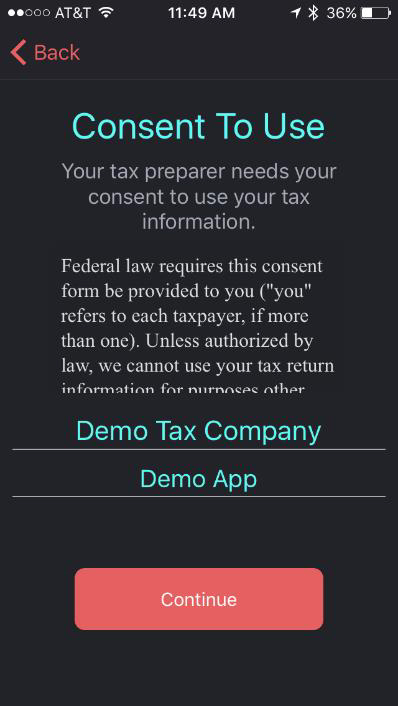 Your clients can download Taxes to Go from the App Store or get it on Google Play. 1. 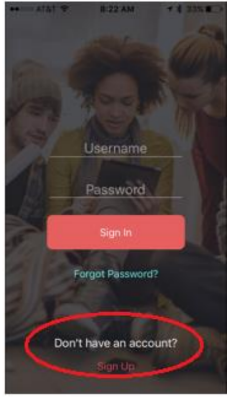 Sign up by creating an account: Enter a username, email address, and create a password. Important! Your password must be at least 8 characters and contain an uppercase letter, lowercase letter, a number and a special character. Example: Demo1234! Upon successful creation of your account, the welcome message will display. Welcome to Taxes to Go! Hint: Grab your driver’s license (and your spouse’s). It’ll speed things up in just a minute. 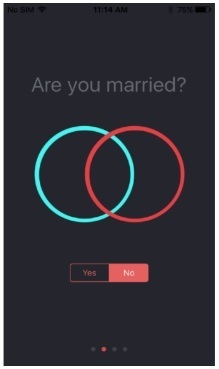 Are you married? Select Yes or No. 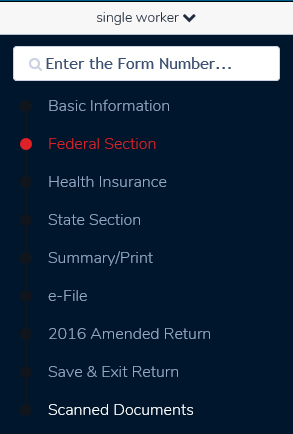 This information will be used to determine the correct filing status to be used on your tax return. If you answer yes, you’ll be prompted to enter information for both yourself and your spouse. 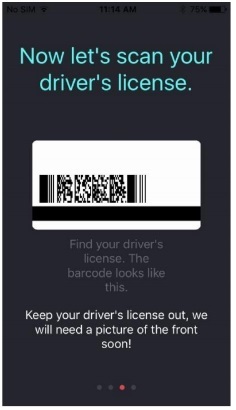 Locate the barcode on your driver’s license. 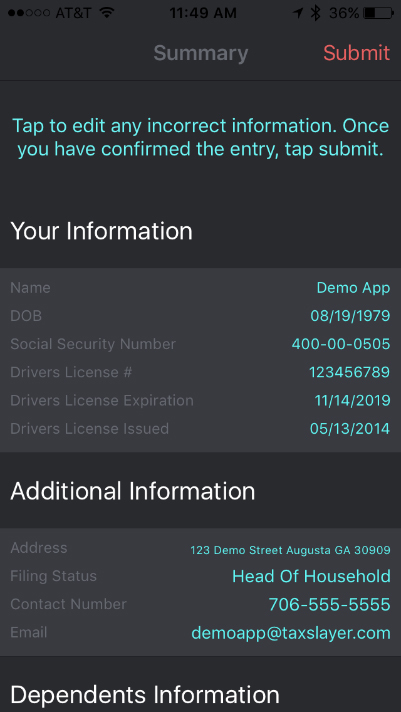 Position your driver’s license in the grey box. Your preparer will use this information to create your tax return. If the barcode can’t be read, you can press Skip. 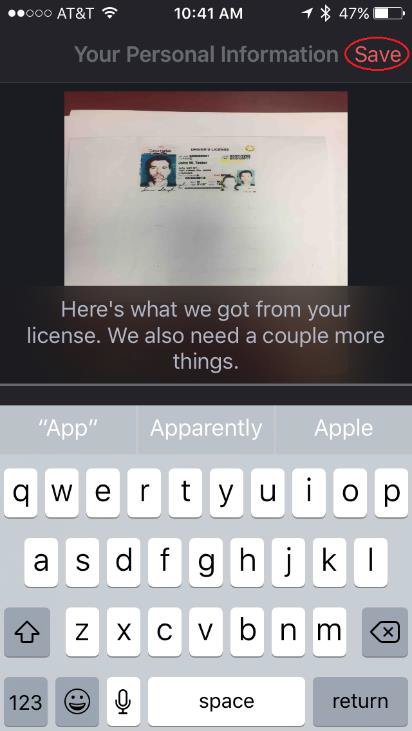 You’ll be prompted to manually enter the information from your license later. 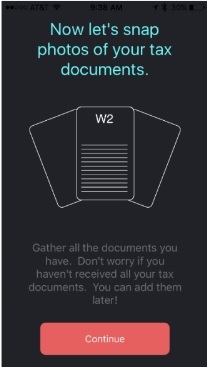 Gather all of your tax documents. (W-2s, 1095s, 1099s, 1098s,etc.) You’ll need everything you would normally bring to your tax preparer. Press Continue. 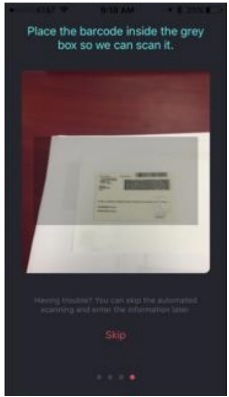 Swipe left to read instructions for snapping pictures of your tax documents. 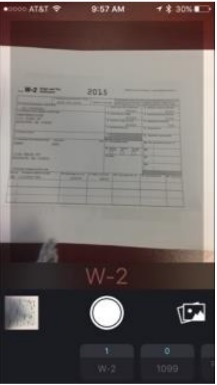 Take a picture of your W-2. Make sure it’s legible. Your tax preparer will use the image to enter the information on your tax return. Swipe left and continue taking pictures of your tax documents as applicable. Currently the app has a category for W2s, 1099s, Previous Return, and an “Other” category for additional documents that your tax preparer may need to complete your tax return. The last category is Driver’s License. Take a photo of the front of your license, and the front of your spouse’s license if applicable. Double-check that you have taken a picture of all of your tax documents and that nothing is missing. Press continue. Next, it’s selfie time. 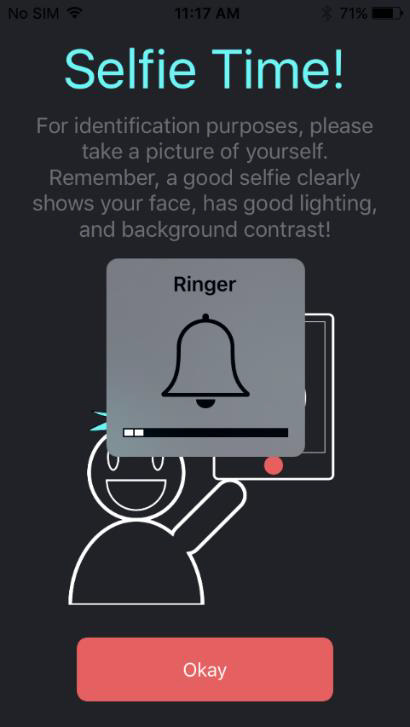 Take a photo of yourself. Ensure your face is recognizable. 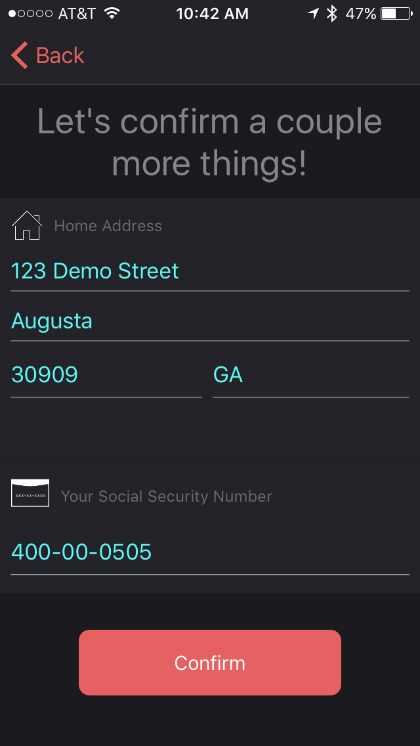 The App will pause and refresh to check information and documents that have been gathered so far. 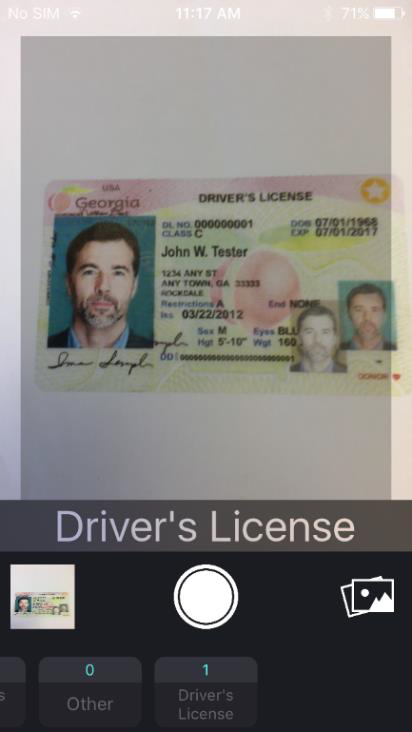 Scroll down to compare the information on the screen to the information on your driver’s license. Enter any missing information manually at this time. You’ll be prompted to enter dependents. Enter your SSN and press Confirm. 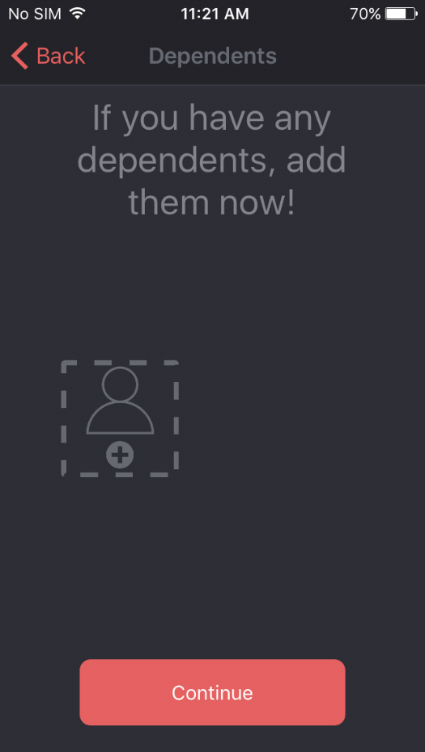 Press the plus sign to enter dependents, or select Continue. You’ll be prompted to enter dependents. You’ll be prompted to add additional dependents. Press the plus sign to add another dependent. If not, press Continue. 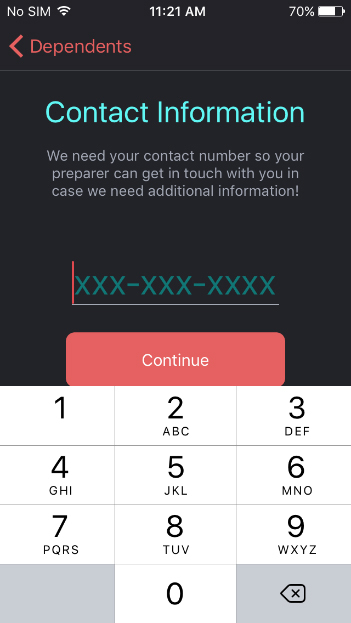 Enter your contact telephone number, so your preparer can get in touch with you in case they need more information. Type the name of the Tax Office and type your name below it. A summary of all information entered and uploaded will be displayed. Ensure all information is correct. 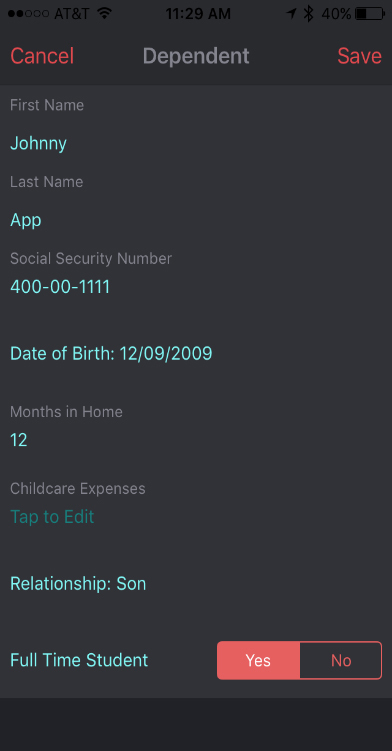 Touch the screen to edit any incorrect information. Once all of the information is confirmed, press Submit. 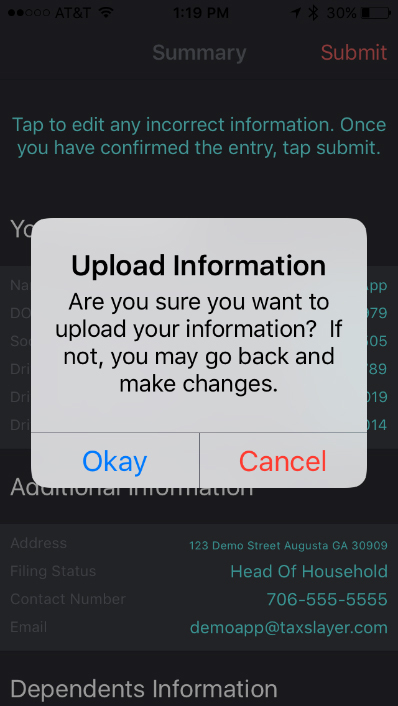 The following message will display: Are you sure you want to upload your information? If not, you may go back and make changes. This is a chat feature that is used to chat with your preparer. 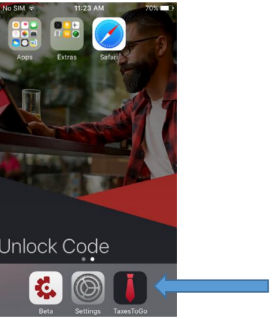 If you don’t regularly check your app for messages, you may want to turn on Push Notifications for this App within your phone settings. 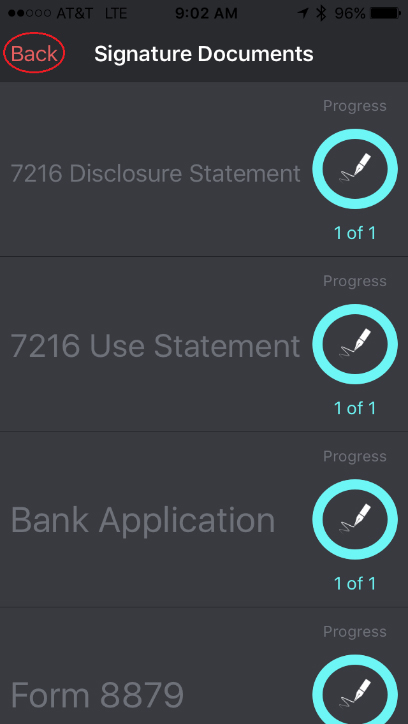 The progress indicator will let you know when your return information has been uploaded by your preparer and when your return is ready to be signed. 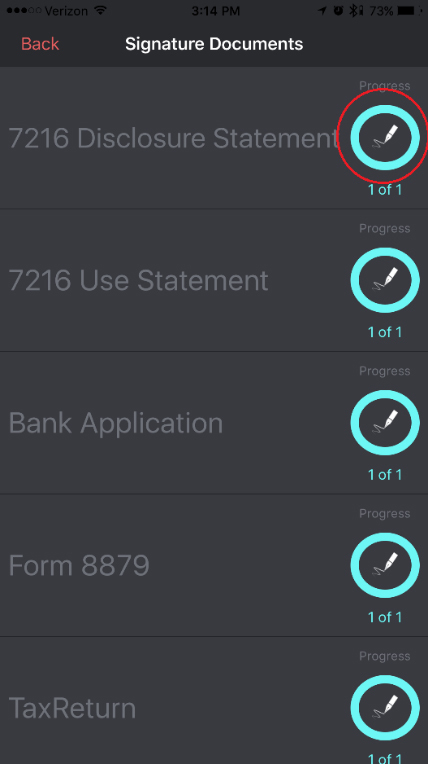 In Review – Once your preparer has imported your return data and created your tax return, the progress indicator will change to In Review. 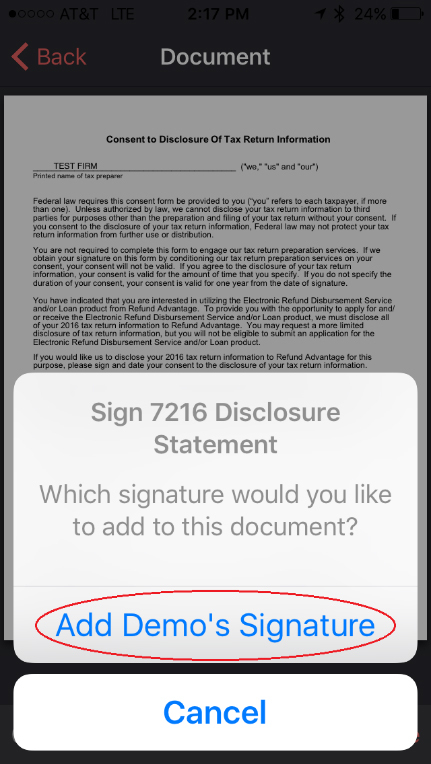 Signature Required – When your tax documents are ready to be signed, the progress indicator will change to Signature Required. 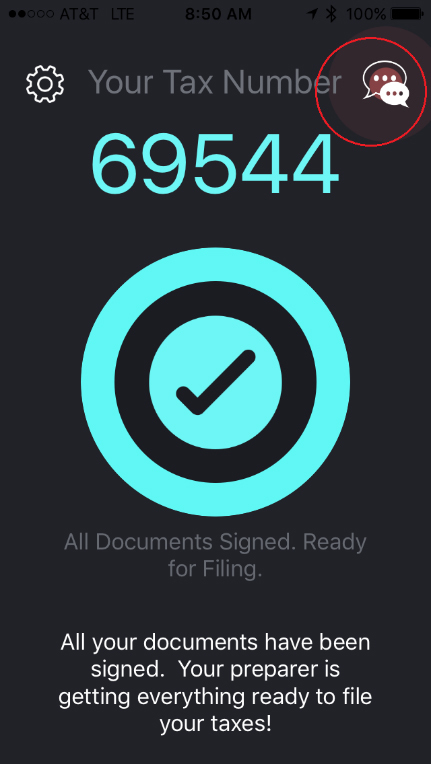 Tap the screen to view the documents to sign. 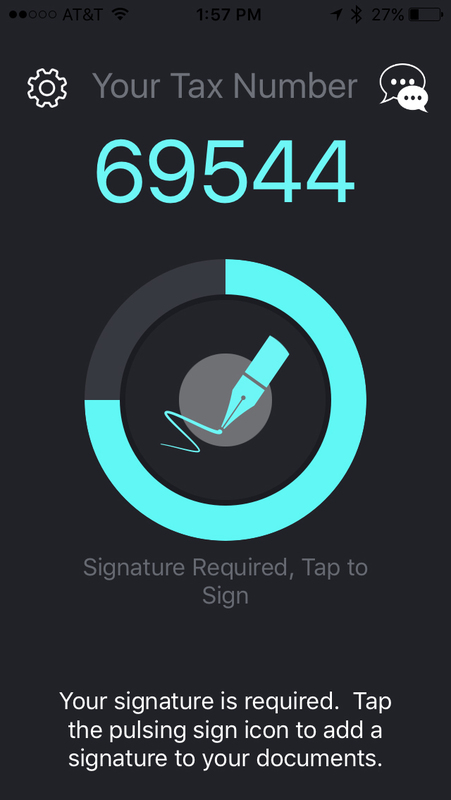 Use your finger to sign. After signing the document, press Back to return to the list of documents. Sign each document as shown above. 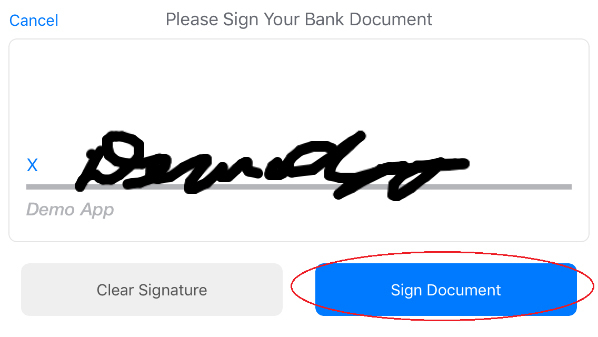 The original saved signature can be applied to all documents, so you’ll only have to sign once. When you have applied your signature to all documents, press back to return to your tax number. Your tax preparer will file your return. Important! 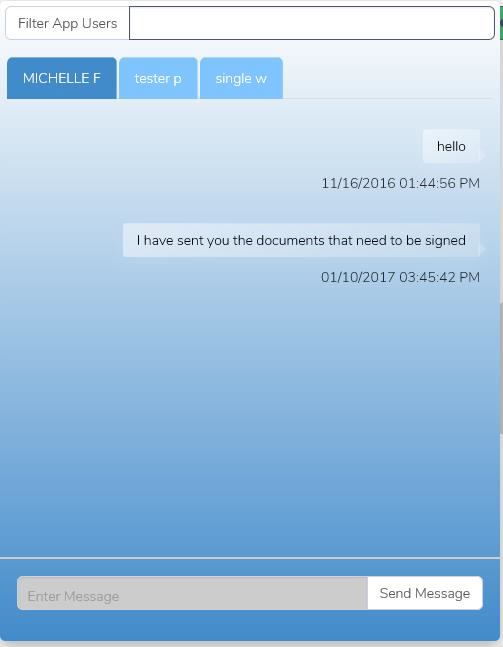 Make sure you send your preparer a message letting them know you have signed all of the required documents! Keep an eye on the chat indicator in the App. If your preparer sends you a message, the chat icon will pulse red. 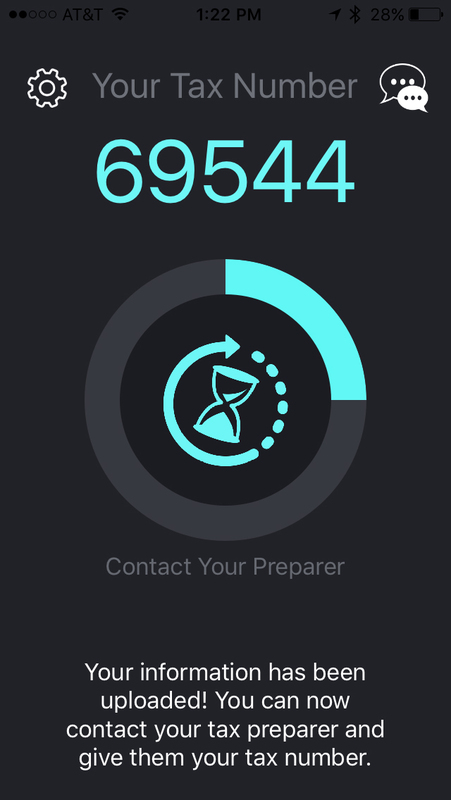 Press the chat icon to read the messages from your preparer, and to send a message back. 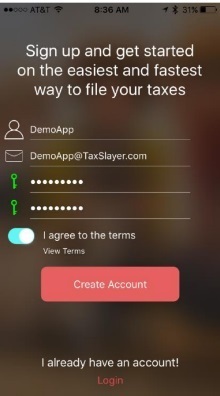 Importing Taxes to Go App data in to TaxSlayer Pro is fast, easy and secure. Start by logging in to the program. Click the Select next to Import App User from the Main Welcome page of the program. Enter the last name and the Import Code the taxpayer gave you. Click Select next to Client Search. 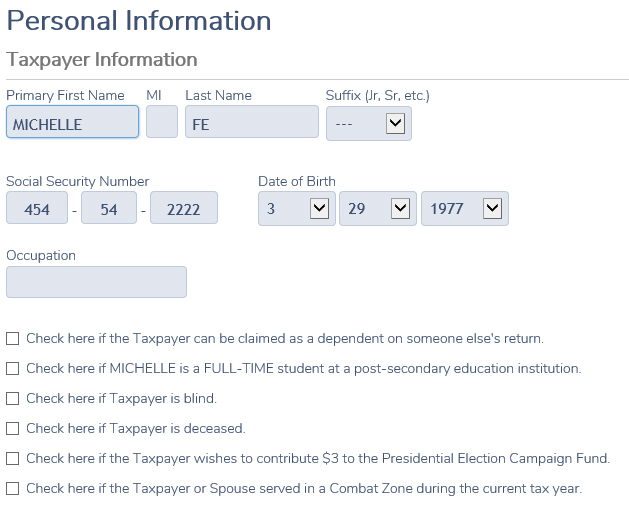 Locate or Search by the taxpayer’s first or last name, or by SSN from the Office Client List. Choose the taxpayer’s Filing Status. 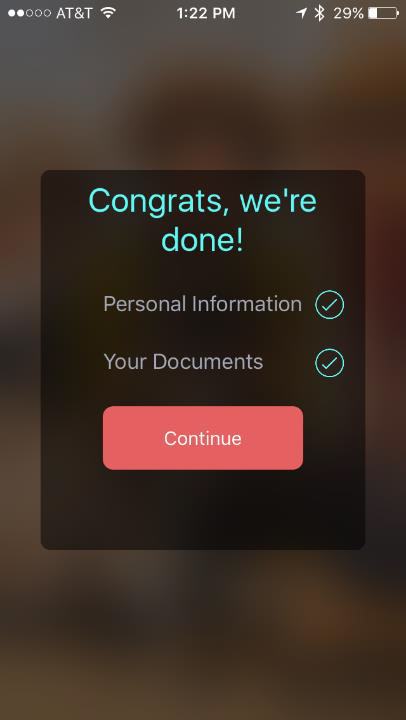 After you verify the Personal Information, Click Continue at the bottom of the page. To access the imported documents, click on Scanned Documents located on the left-side page. Next click on Download next to each document you want to view. When your client sends you additional documents the program automatically saves them for you in the Scanned Documents. 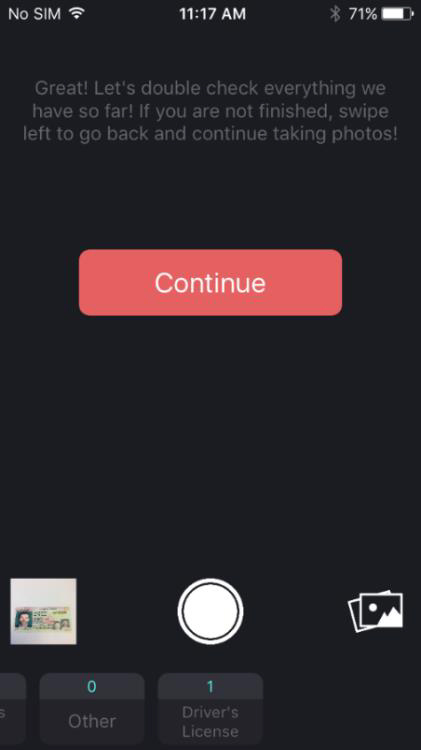 There is no need to import the app again. 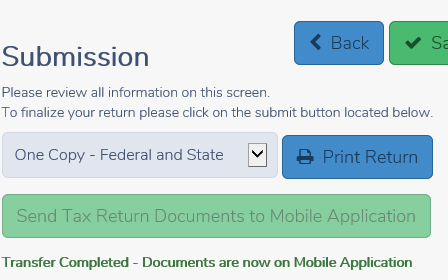 After marking the return electronic, you can send any documents that need to be signed back to the taxpayer via the Submission page. 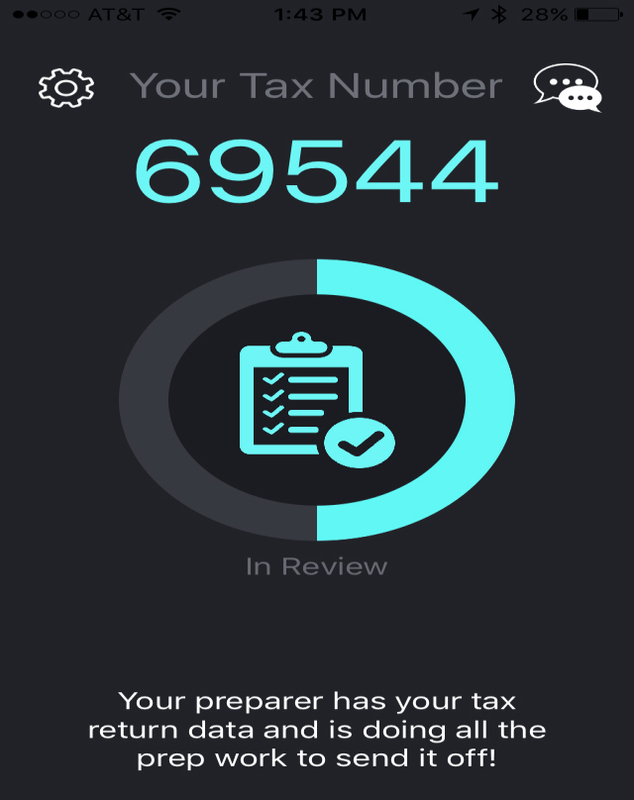 Click Send Tax Return Documents to Mobile Application. The program will upload and send the documents for you. Select the Client’s name to begin your chat. Once the taxpayer has signed the documents, the program will upload them into Scanned Documents.